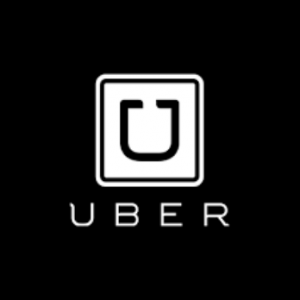 Uber, along with other Transportation Network Companies (TNCs) hit the ground running here in Alberta. The overnight success left many provinces unprepared and not sure how to ensure both the providers and patrons using these services were being properly protected. Rules needed to be defined, and insurance coverage needed to be legitimized. In August of 2016, Alberta became the first province to accept auto insurance for TNCs, alongside the regulations that allow TNCs to operate in the province. One of the biggest problems for insurance companies when it comes to TNCs like Uber is that drivers are only sometimes using their personal vehicle for commercial purposes, something that was not previously allowed. With the new regulations in place, insurance companies are now testing polices that sit in the grey area between commercial and personal vehicle use. These new policies allow for hybrid rules that allow drivers to “turn on” their commercial coverage as soon as they open their Uber app until they drop their passengers off. TNCs market themselves as both a great way to make some extra money, and as a cost effective transportation solution. Many Uber drivers work on a part time basis, so if they were required to hold full time commercial insurance, many drivers would be turned off of the opportunity. The regulations ensure a level playing field with other car-for-hire businesses. These new, innovative policies allow drivers to have the protection they need, when they need it. The same can be said for passengers; these new regulations put in place by the Alberta Government ensure that no matter what ride sharing company you choose; you are in safe hands. If you are a ride-sharing driver or are considering becoming one, talk to the team at ARC Insurance Brokers. We are a proud provider of Intact Insurance, who was the first insurance provider to offer a ride-sharing driver policy. Call us today to learn more!